...this photo. Grumpy Gus made an appearance again. Here she was last year and the year before that. 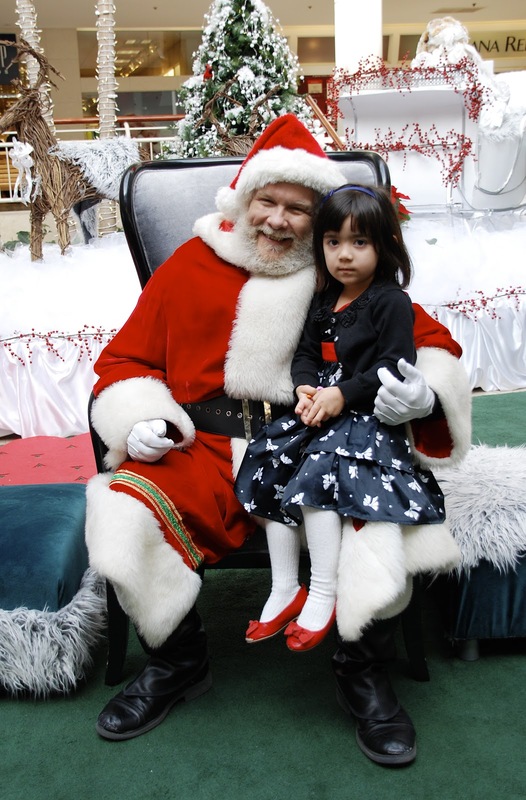 Will I ever get a picture of my child smiling on Santa's knee? 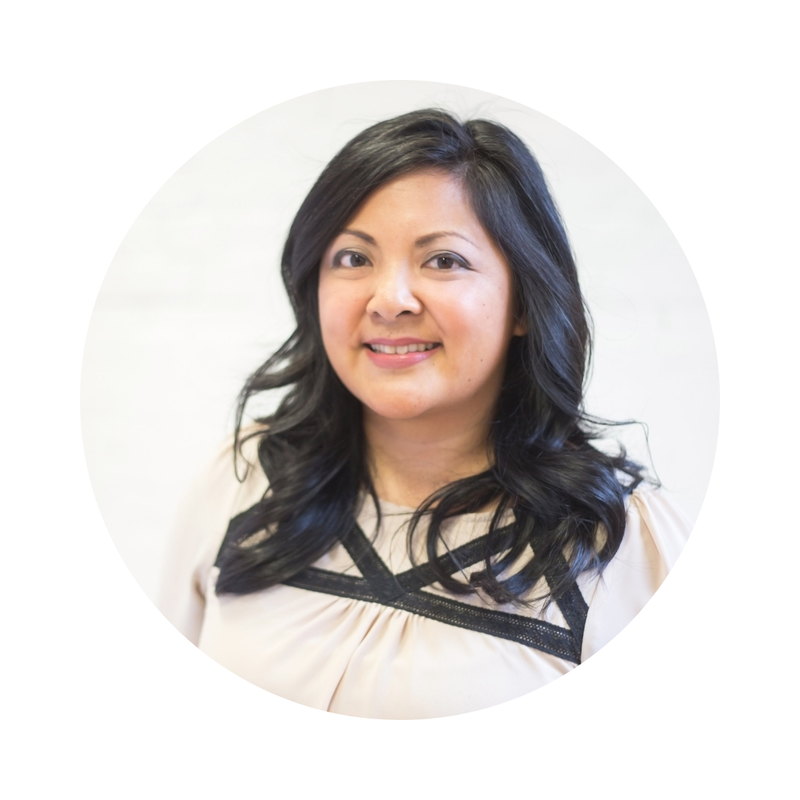 ...this non traditional holiday playlist from Design Editor. Totally suits the mood I'm in these days. ...this giveaway of Alanna Cavanagh's work on Tim's blog. 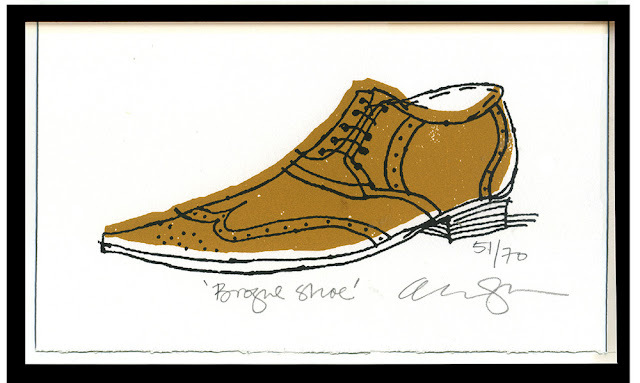 This brogue shoe print would look great in a boy's room. ...Chassity's commentary and that of her readers on this post. It made me look at my Instagram feed and think about how often I think about "likes", comments, and the many other ways we validate ourselves in this blogging world. Thought provoking! ...Paula's tour of the Christmas decorations around her house. Don't you love all the peeks into people's houses at this time of year? I'll share more of mine next week. ... this pin. Anyone know the original source? 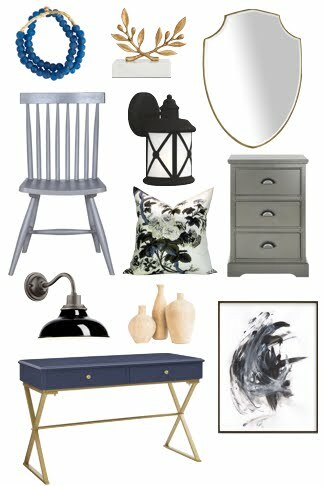 We're working on the basement bathroom this weekend so I'm on the hunt for inspiration. HTH! Love the continuation of the paneling on the tub surround. Thanks for the link! I've updated the source. We have a similar tile in our entry and we're planning on doing the plank walls just like this very soon. Thanks for the picture, just confirms how much we want to do it! ohhh love that flooring! I have 2 pics saved on pinterest with the same flooring...also you can get the flooring right now at tile and stone http://tilesandstone.ca/ for $2sq ft. I think that dirt cheap or I might be wrong! We just used it for our fireplace and are also thinking about using it for our bathroom as well. That is cheap! Thanks for the link. Always good to find new tile sources. Thanks for the shout out on Alanna's print! I'm absolutely in love with it and I also got an extra bonus piece: the first print of this brogue shoe on draft paper!! Will frame both of them up for a dynamite gallery wall one day! Happy weekend and hope you are almost done with your shopping! You wanted to do bead-boarding, right? Checkout this site, too.. Otherwise, do a search at BHG for "plank board bathroom", etc.. Please, I can't even get my daughter to sit on santa's lap. This is the first year that she's not terrified of him. Oh, I just love that bathroom! The palette and textures are wonderful. Happy weekend Jennifer! Happy weekend! Love that bathroom - great inspiration.